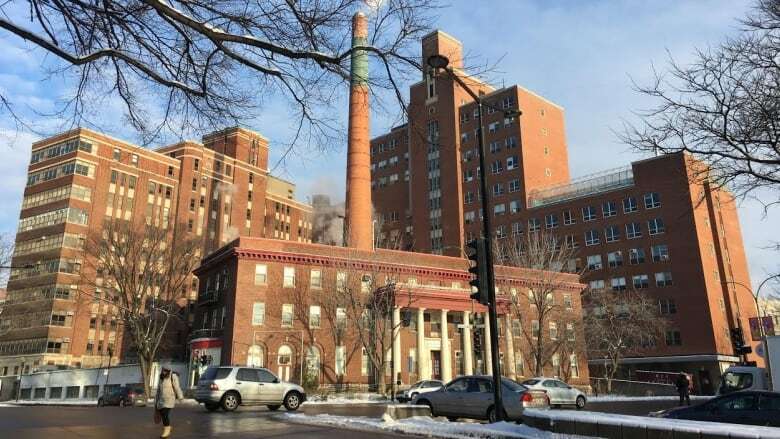 Hopes for a new elementary school in downtown Montreal, on the site of the old Montreal Children's Hospital in the Peter-McGill district, have been dashed. The developer Devimco is building the $400-million project on the site that includes condos, social housing units, officers, a library and a park. It was also on board to build a new school. Devimco required plans from the school board and provincial education ministry, but said the plans never came — and it can't wait around anymore. "For the last two years, Devimco has always shown an interest in including a school as part of its project. Unfortunately, the government's plan for a school in this type of urban project still was not ready yet in December 2017," a Devimco spokesperson, André Bouthillier, told CBC in an email. "We had to proceed with the realization of this mixed real estate project." The design includes 1,400 residential units, stores, a community centre, a park and a new municipal library. (Devimco)Parents, community groups and the Commission Scolaire de Montréal have been pushing for a new school in the downtown area, which stretches from Atwater to University streets. The CSDM says at least 406 students are without access to a primary school in that neighbourhood. CSDM's downtown school commissioner Stephanie Bellanger-Heng said the whole board was very surprised to see a school was no longer part of Devimco's plans. "Last December we were talking about the school. It's very unacceptable to the parents, to the community to hear that because he has a social commitment with us." 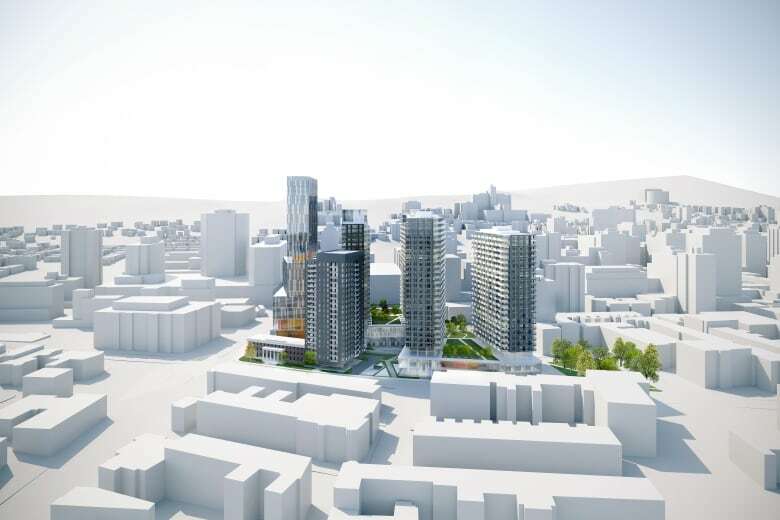 The city of Montreal says the promoter was always open to building a school downtown, "however, the negotiations between the different actors did not come to a positive end," said Cathy Wong, city councillor for the Peter-McGill district. "I just believe that the negotiations must continue...We are still looking at other sites that might be possible also. In its statement to CBC, Devimco said it is open to including a school in its future downtown projects, and is working with a city committee.